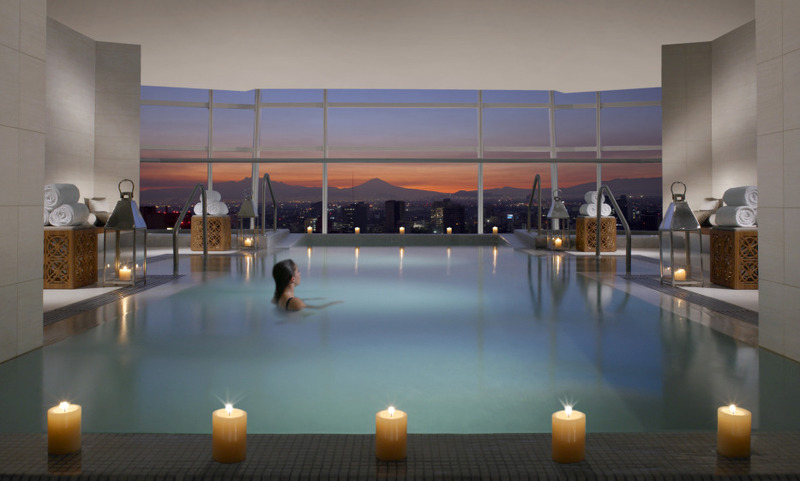 The St. Regis Mexico City is one of the sleekest buildings to grace Mexico City’s skyline. Designed by architect Cesar Pelli to emulate Diana the Huntress’ bow and arrow, the St. Regis Mexico City is, fittingly, on target when it comes to attracting heads of state, pop stars and well-to-do travelers coming to the city. Found on the bustling Paseo de la Reforma between the city center and the historic Chapultepec Forest - the hotel offers an undiluted taste of one of North America’s most bustling capitals. For the frayed nerves which inevitably ensue, the plush Yabu-Pushelberg designed rooms and Remède Spa are just what the doctor ordered. For those more in the mood for play than relaxation, the King Cole Bar terrace where the superb mixology of bartender Ricardo Sandoval is paired with lively DJ tunes, and majestic views of the city, is one of Mexico’s top hangouts. The St. Regis Mexico City offers a variety of world-renowned epicurean delights including Diana Restaurant and J&G Grill. Do spend some time at the spa with indoor pool, jacuzzi, sauna and steam room at no cost. Its a great hotel, I’m going to stay again for sure. I believe this might have been the nicest hotel located in an urban area that I have stayed. I would recommend this to anybody visiting Mexico City. A very beautiful hotel staffed by experienced and professional people. They're always very welcoming and available for clients. Great hotel. The staff was very professional and the room was magnificent. The room service (breakfast) was really delicious.